We were delighted to be appointed by artisan ice cream maker, Ruby Violet, which has just opened the doors to its second parlour and café in London. Located in the Midland Goods Shed, just off the popular Granary Square precinct of King’s Cross, Ruby Violet asked Hannaford to help create and install its interior fit out. 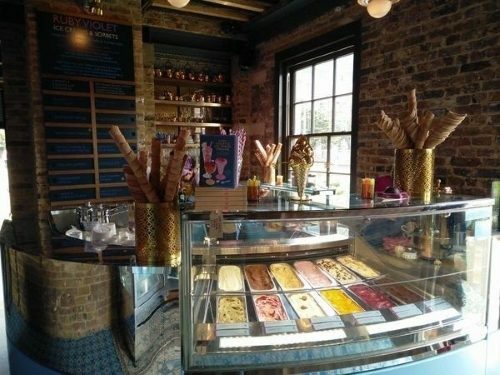 A short stroll from Regent’s Canal, the new parlour officially opened on 21 May and Ruby Violet was overwhelmed by support from local businesses, tourists and residents alike, who were excited to discover they could now find small-batch, handmade ices and sorbets being served close to their homes or places of work.